Anytime I can be, I try to stay as organized as possible. Whether that happens is another issue on its own. 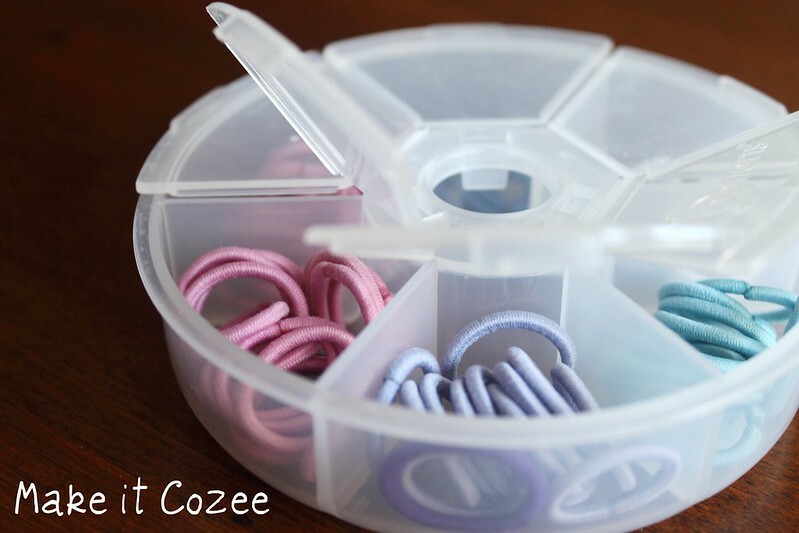 In the next few weeks we will be doing some traveling therefore, lots of organization is required especially with those pesky little accessories. Plastic is my solution. Cindy's hair is finally long enough to put in pig tails and those little hair ties are oh so tiny. 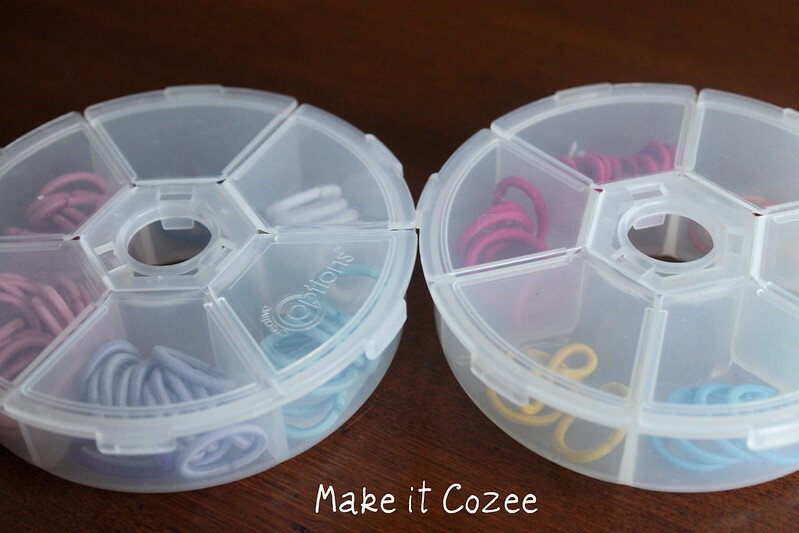 I realized you can put them in a pill case or I found these bead cases at Walmart for a $1 and they are perfect! It keeps it nice and organized and color coded. It is a little bulky for me to be carrying around everywhere so I usually throw a few hair ties in my wallet in case we lose one. 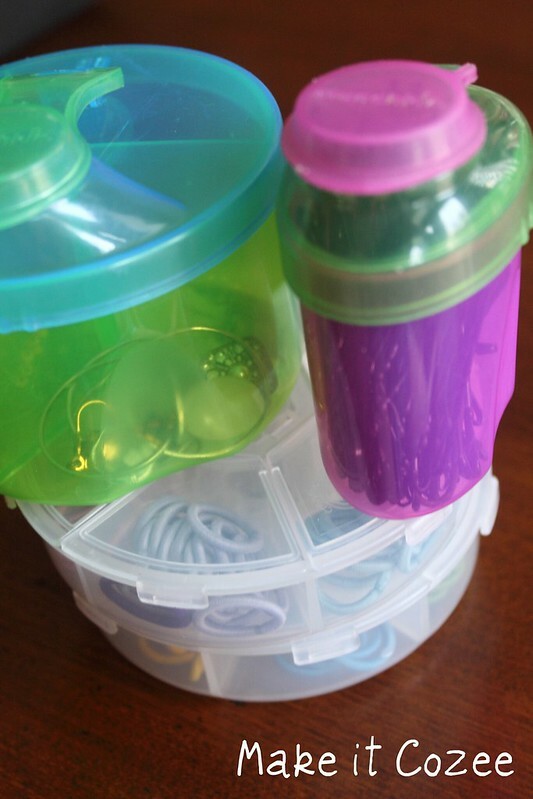 Now when we came to Cali she was on formula and I was using these formula travel tupper ware and they were really handy. Well, now that I am not using them anymore I didn't want them to go empty in my suitcase so I found something perfect to fit inside. 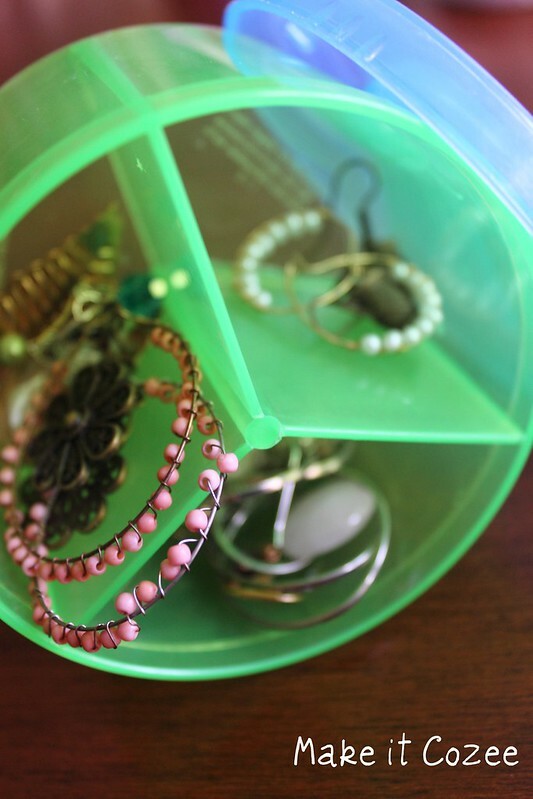 I put all my earrings in this one and it seriously works out perfectly. 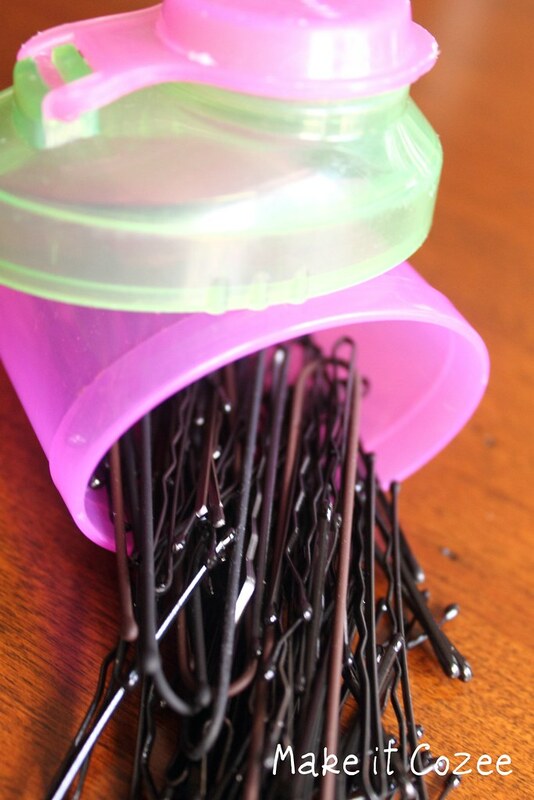 And in the smaller one I put all of my bobby pins. Perfect fit and so much easier than a plastic baggie, which is what I was using before. I love getting creative when organizing and reusing things I already have. 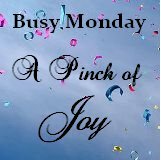 For other organizing ideas you can also check out my Organization Board on Pinterest. every day. For more information visit: security gives you the protection from all kinds of worms, viruses and other problems. Please leave your email so I can repsond to your comment. My name is Patty Mullen, and from Cali but have moved five times in the last ten years thanks to the military life. Stalked my hubby in high school (and he realized he couldn't get away so we got married after college). We're currently in Ohio eating way too many buck eyes. I've got two littles and I get the privilege of staying home with them most days when we all aren't in school. They're partially home schooled and I teach preschool part time. I hope you make yourself cozy, grab a cup of coffee, and stay for awhile. Visit Patty Mullen's profile on Pinterest.